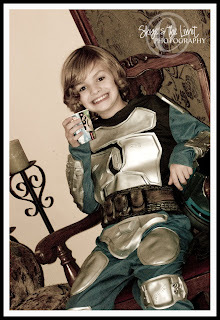 Today the boys were lucky enough to host a Cartoon Network Clone Wars premiere party. Through HouseParty.com, I signed up to host the party. We were one of 2000 households to hold this particular party. And we had a blast. I'm glad they had fun. I am hoping to get to hose another House Party sometime soon.